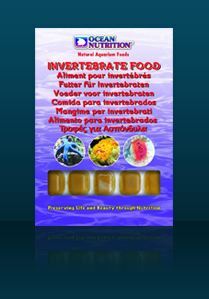 A blend of finely minced mussel, cockle, algae and other essential ingredients ideal for all marine filter-feeding organisms. Mussels are an excellent source of selenium and vitamin B12. Can frozen food go straight in the tank? Why should I feed my fish with frozen feeds? Yes it can. Our products are well rinsed prior to be flash-frozen. Once the frozen animal hits the water it will defrost very quickly and will spread evenly in the tank. There are several reasons why we recommend to use our frozen feeds. The flash-freezing process avoid crystals forming in the prey so the animal does not get damaged by the freezing process. What you get is the prey in its natural form. One thing is for sure, frozen food is the next best thing compared to live food. The freezing process ensures that most of the goodness in the food is preserved. Our range and packaging offers great versatility and variety.